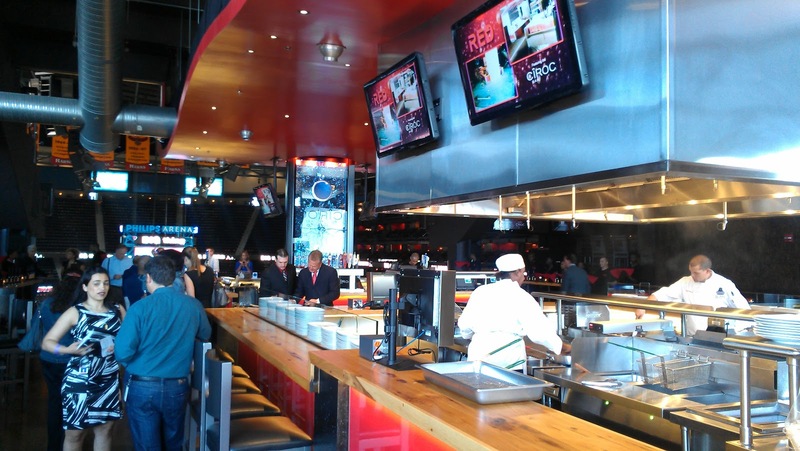 So, on Friday, the good people over at Philips Arena invited ATL Bite Life to a sneak preview of the all new RED Restaurant which was unveiled to the public over the weekend. 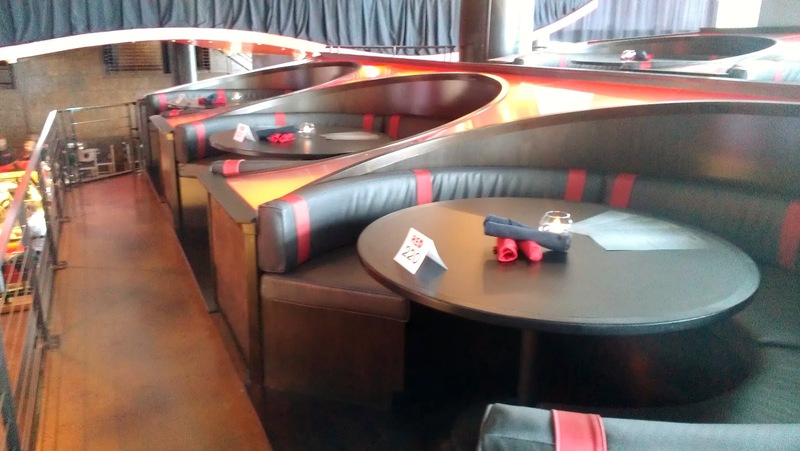 This approximately 10,000 sq ft space that seats about 250 people sits between the 203 and 205 section of arena and is probably the sexiest sports lounge you've ever been to. 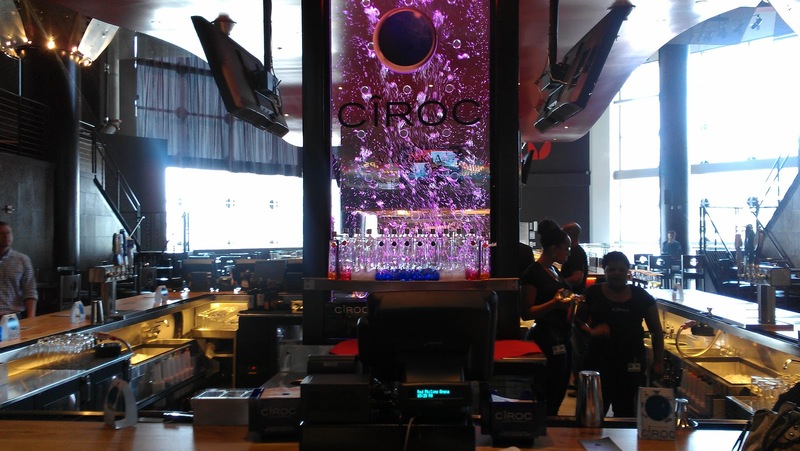 Not only does it boast a full bar sponsored by Ciroc (with bottle service), a reasonably priced premium menu, and group seating that mirrors the sections you'd find at one of Alex Gidewon's clubs, the view of the court (or whatever event is going on at the time) is still prime. About a half an hour later, everyone was escorted to their tables. 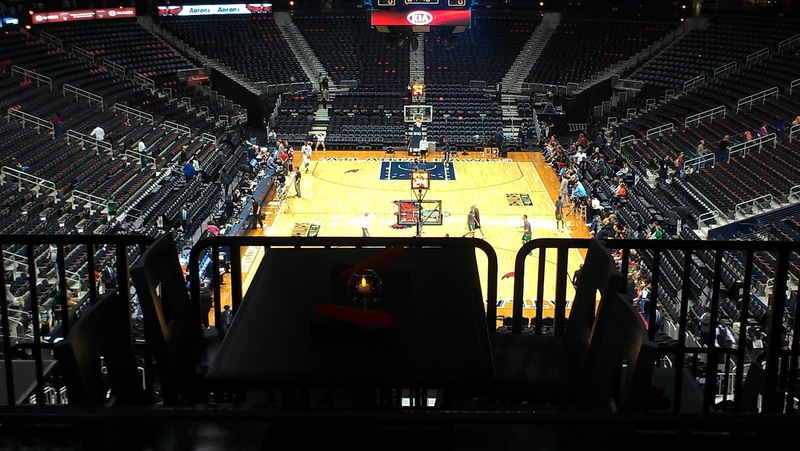 I actually ended up sitting with the spouses of two of the Hawks owners. Right before I was about to launch into an angry rant about the questionable front office moves of my hometown NBA team, they were escorted away to the table they were REALLY supposed to be at. Should've known they wouldn't be sat next to the kid from Decatur on purpose. Lol. Just kidding. They were cool though. Hi, Penelope (call me if you're reading this). The young ladies from Insight Magazine who replaced them were just as cool so I was still in good spirits. S/O to Brittany!!! Then, the food from the menu starts to arrive. Not bad at all. I had a chance to sample several items. On the positive side, the Crispy Chicken Cheese Sliders were very Chick Fil A-ish so I was definitely pleased with those. The Signature Creamy Mac n' Cheddar Bites, which was basically fried mac & cheese bites, were very tasty. The Shrimp and Super Lump Crab Cakes were DELICIOUS!!! However, on the down side, the Margherita Pizza was just okay. I've definitely had better. The mixed green salad was kinda blah but whatever. Finally, The Red Pepper Steak Burger might have been okay had it not been damn near RARE (ya'll know black folks don't do raw meat!!!). Overall though, it was more than cool. I definitely will be returning during the playoffs #GoHawks And, I suggest that you do too. Those of you who follow me personally on Twitter, Facebook, or Instagram know how I was raving about this place all weekend long. 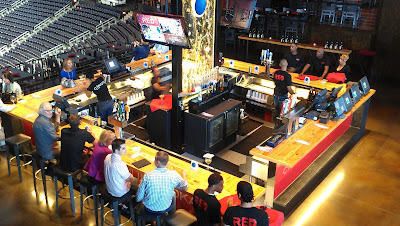 I'm already predicting that this will be the spot for the rollers in the city to hang out during the games. 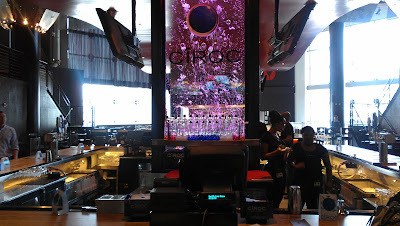 It's an ideal spot for a fly date night in the city but also a nice "put on" spot for the socialites that wanna pop bottles and ignore the main event going on (Atlanta is FULL of those!!!). Right now, RED is only operating before, during, and shortly after ticketed events. However, I have it on good authority that they will be opening in the not too distant future just like any other full service restaurant for lunch and dinner on non-event days. Not sure how that will work though. I don't know how many people will just want to grab food at Philips Arena on the average day. But, hey, I was wrong once before. You're hilarious!! Good review. Another place to add to my "date night" list. @Layla The place is fly!!! Trust me, you'll love it!! !